How can I correct answers on a form? Do you mean to edit the submission received on your JotForm? If so, it is possible to edit the form submission from the submissions view. 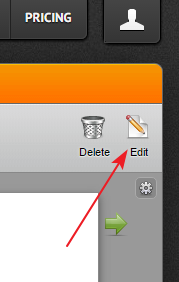 You can select the submission from the list to edit and click on Edit icon to change the information in the submission.